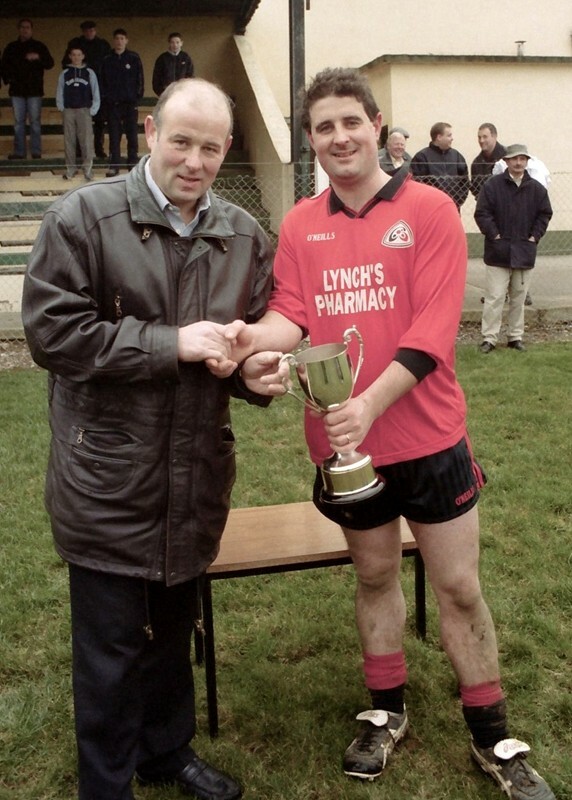 2001 Minor Division 3 Final. St. Michaels 5-11, Walterstown 0-7. Sunday July 8th 2001 played in Kells. Half time St. Michaels 0-8 Walterstown 0-1. 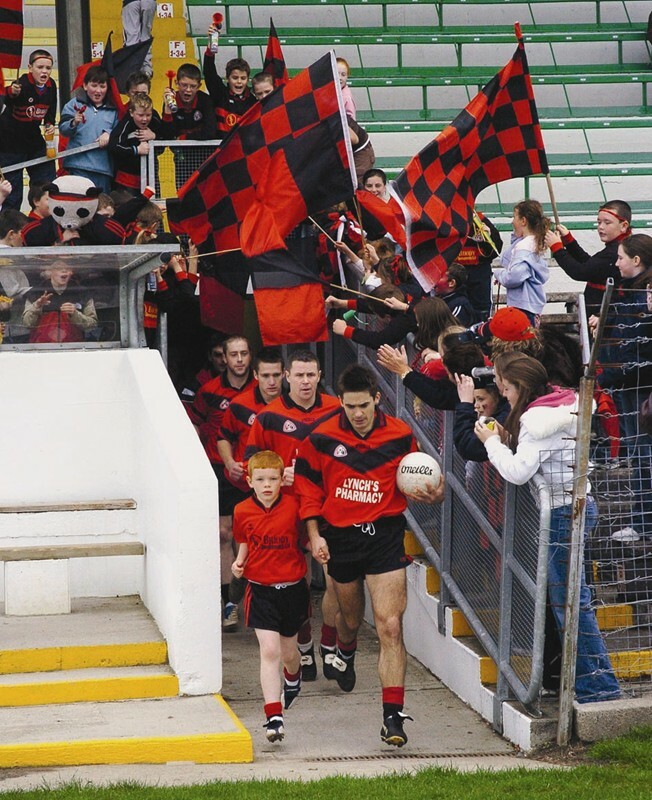 St. Michaels minor footballers produced one of the finest displays by any team in the club as they clinched the MFL Division 3 title with a resounding victory over a fancied Walterstown side in this final in Kells. The most remarkable statistic from this performance was that 5-10 of the winners total came from play as they dominated every sector. Luck was certainly against Walterstown as they had a second half penalty saved by the outstanding Wayne McDonnell in the St. Michaels goals. Ben Farrell finished as the top scorer with 1-3 while John Barry O’Reilly, John Farrell, Peter Clinton and Paul Dowdall also got in on the scoring act. Wayne McDonnell, Brendan Ryan, James Farrell, John Rogers, Derek Flood, Eddie Carolan 0-1, John Farrell 1-1, John Flood, Peter Clinton, J.B. O’Reilly 1-2, Andrew Rogers 0-1, Ciaran Lynch 0-3, Ben Farrell 1-3. Paul Dowdall 1-0 for Peter Clinton 1-0, David Carpenter for Ciaran Lynch, Andrew Cassidy for Ben Farrell, Anthony Lynch for Brendan Ryan. Jimmy Farrelly, Michael Flood, Patsy Dowdall & Jim O’Reilly. ST. MICHAELS BOOK FINAL PLACE. St Michaels 3-10, Oldcastle 1-5. 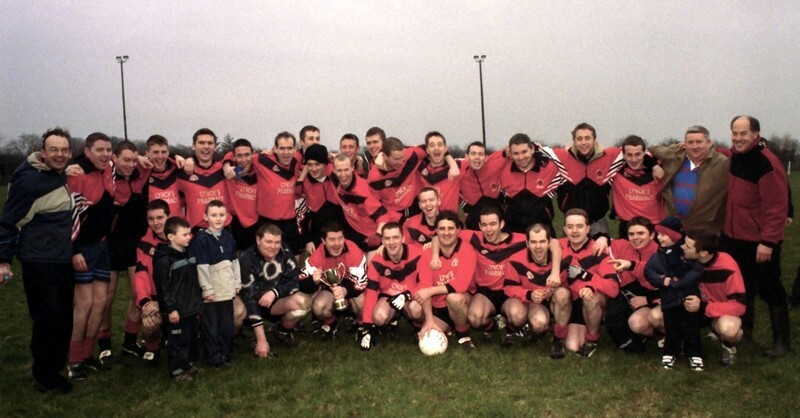 Sunday November 17th 2002 in Ballinlough. St. Michaels booked their place in the B FL Division 4 final against Nobber following their comfortable victory over Moylagh in Ballinlough. The Carlanstown men were always in charge as they led by 1-5 to 1-0 at the break. David O’Connell, Bernard O’Brien and Ben Farrell scored the winners goals and they were well supported by Daithi Reilly, John Sheridan and Derek Flood. 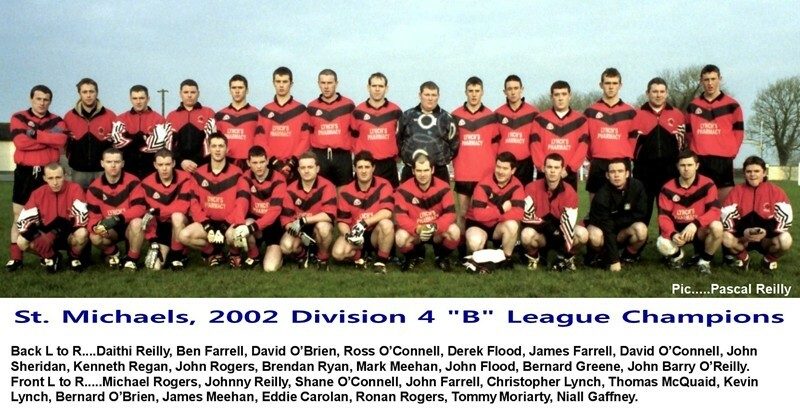 Kenneth Regan, John Sheridan, Kevin Lynch, James Farrell, Derek Flood, Thomas McQuaid, Tommy Moriarty, Daithi Reilly, J.B. O’Reilly, Ronan Farrell, Johnny Reilly, Shane O’Connell, Ben Farrell, David O’Connell, Bernard O’Brien. Brendan Ryan for Dáithí Reilly, Eddie Carolan for Shane O’Connell, Michael Rogers for James Farrell, Niall Gaffney for Tommy Moriarty, Christopher Lynch for Thomas McQuaid. St Michaels 1-12, Nobber 2-7. 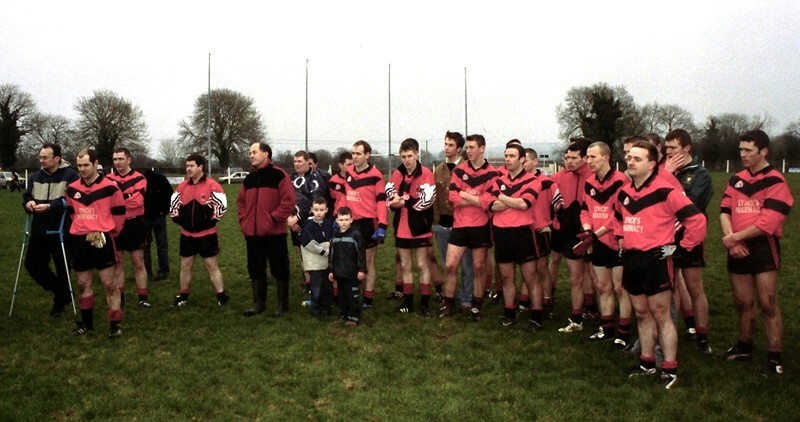 Sunday December 15th 2002 in Castletown. Nobber slumped to their second successive B FL final defeat as St. Michaels proved too strong in the division 4B decider for their first adult title since 1995 at Castletown on Sunday. St. Michaels laid the foundation for their victory in a blistering opening quarter during which they registered six points before Ray Proudfoot opened Nobber’s account with a goal. Andrew Hayes added a point, but it wasn’t enough to inspire a revival as St. Michaels continued to dominate and led by 0-9 to 1-1 at the break. After the resumption St. Michaels took their foot of the pedal, but with five minutes remaining Ronan Rogers grabbed the crucial goal to ensure victory for the Carlanstown / Kilbeg combination. 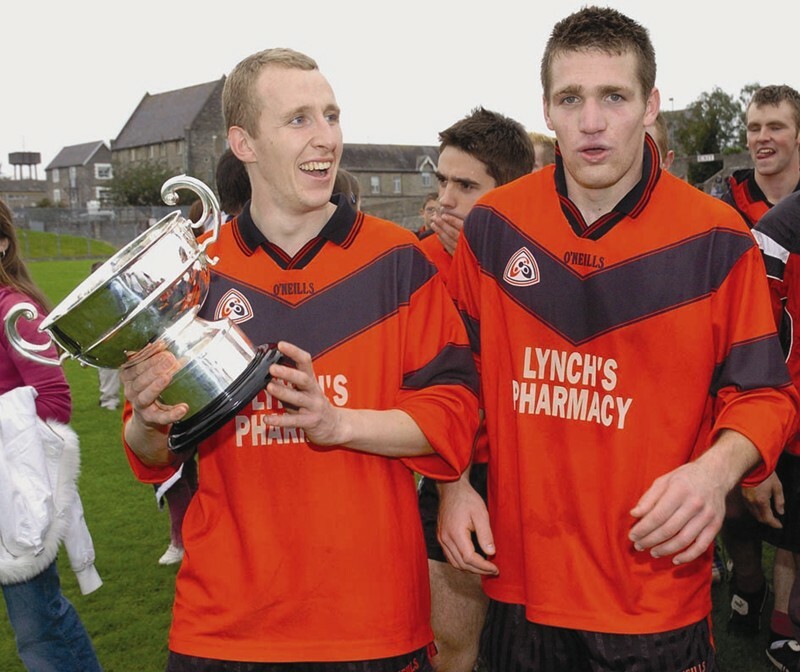 Proudfoot blasted another goal to offer Nobber hope, but despite points from Conor Halpin and Michael Owens they were left with too big of a mountain to negotiate as St. Michaels ran out deserving winners. Bernard O’Brien, Kevin Lynch, Dáithí Reilly and Ronan Farrell were best for the winners. Kenneth Regan, John Sheridan, Kevin Lynch, James Farrell, Derek Flood 0-1, Thomas McQuaid, Tommy Moriarty, Daithi Reilly, J.B. O’Reilly 0-2, Ronan Farrell 0-3, Bernard O’Brien 0-1, Christopher Lynch 0-2, Johnny Reilly 0-1, David O’Connell 0-2, Shane O’Connell. Brendan Ryan for Shane O’Connell, Ronan Rogers 1-0 for J.B. O’Reilly, David O’Brien for James Farrell. C. O’Reilly, J. McCormack, M. Owens 0-1, A. O’Brien, P. Fox, P. Olwill, E. Carolan, T. Tierney 0-1, P. McEntee 0-1, T. McCormack, A. Hayes 0-3, D. Lambe, S. Kellett, R. Proudfoot 2-0, B. Kelly. J. Smith for McCormack, C. Halpin 0-1 for Kelly. STYLISH ST. MICHAELS PROVE TOO STRONG. St Michaels 0-13, Duleek 1-4. 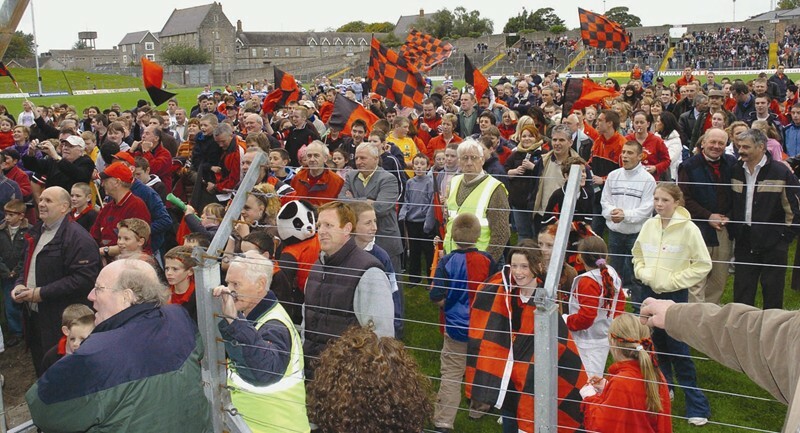 Saturday September 27th 2003 in Rathkenny. 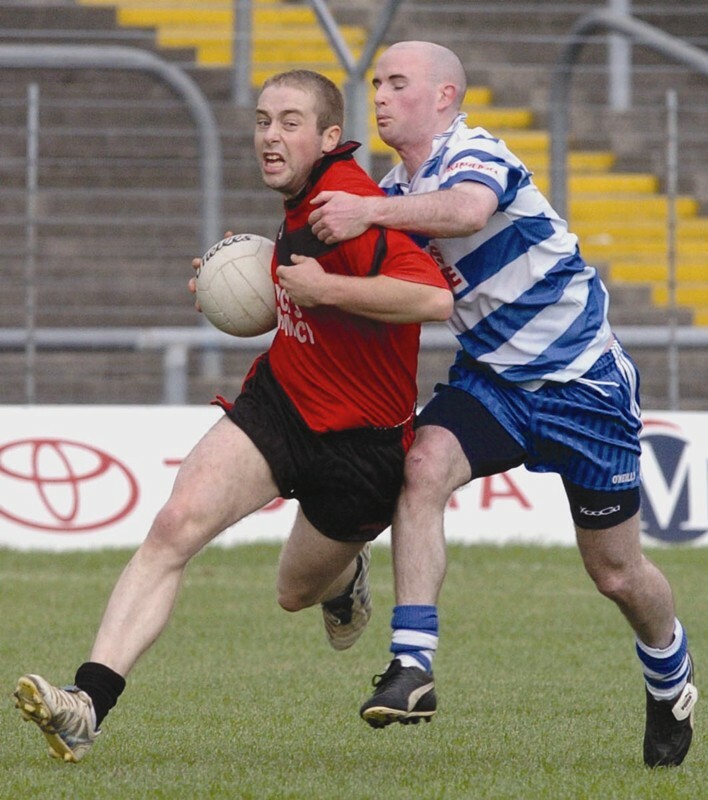 Things just keep going from bad to worse for Duleek as they lost out in the B FL Div. 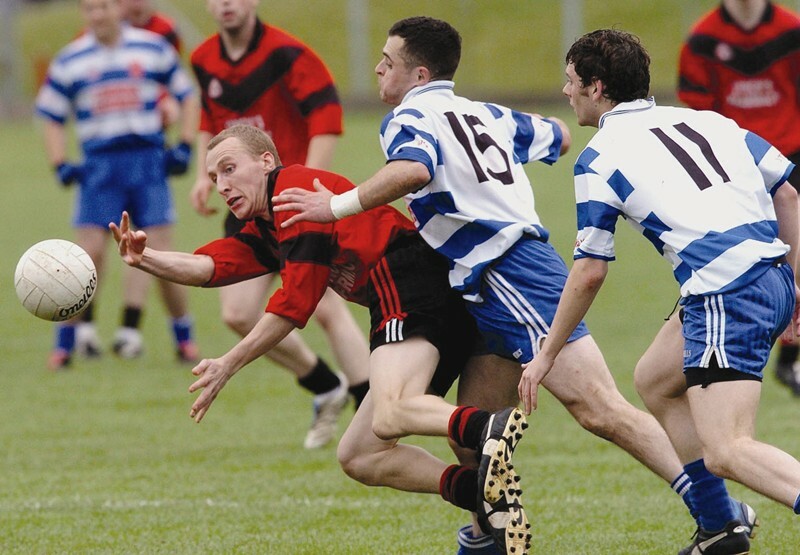 3 final to a superb display by St. Michaels in an exciting decider at Rathkenny on Saturday. Duleek were strongly fancied to win the IFC, but they faltered at the penultimate hurdle. They also tasted defeat in the A FL division 3 final against Na Fianna before last Saturdays disappointment made it a hat-trick..
St. Michaels were always in command and led by 0-5 to 0-2 at the break with David O’Connell and Ben Farrell in outstanding scoring form. However after the break Duleek rallied with a goal and ensured a tense finale. In the end St. Michaels were too strong and with John Barry O’Reilly, Derek Flood and Farrell in exceptional form they deserved the crown. 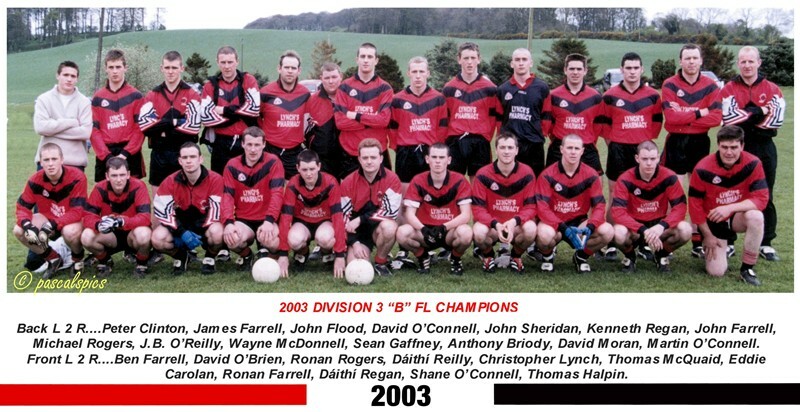 Kenneth Regan, John Rogers, Kevin Lynch, James Farrell, Michael Rogers, John Flood, Derek Flood 0-2, J.B. O’Reilly 0-3, John Sheridan, Daithi Reilly 0-1, Bernard O’Brien, Ronan Rogers, Ben Farrell 0-4, David O’Connell 0-3, Johnny Reilly. report courtesy of The MEATH CHRONICLE. ST. MICHAELS LAND BIG PRIZE. 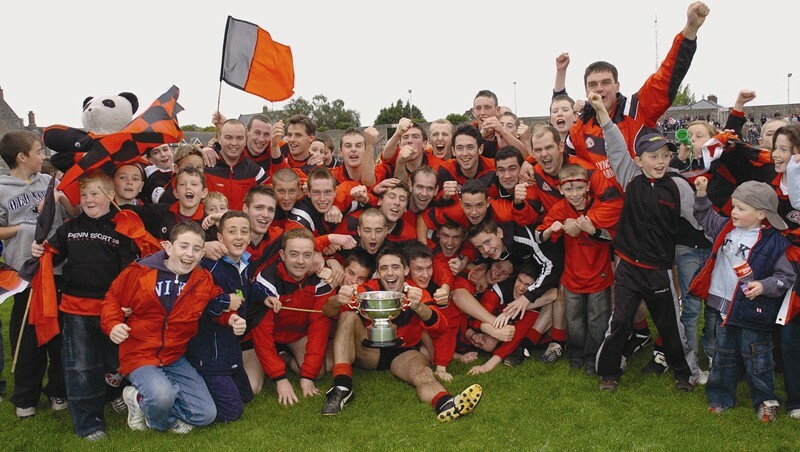 St. Michaels were expected to be one of the front-runners in the battle for the Matthew Ginnity Cup and were drawn in group C, a section that also included another of the big fancies for the title, St. Ultan’s, Bective, Ballinabrackey, Drumbaragh, St. Vincent’s and the second string sides from Dunderry and Dunshaughlin. 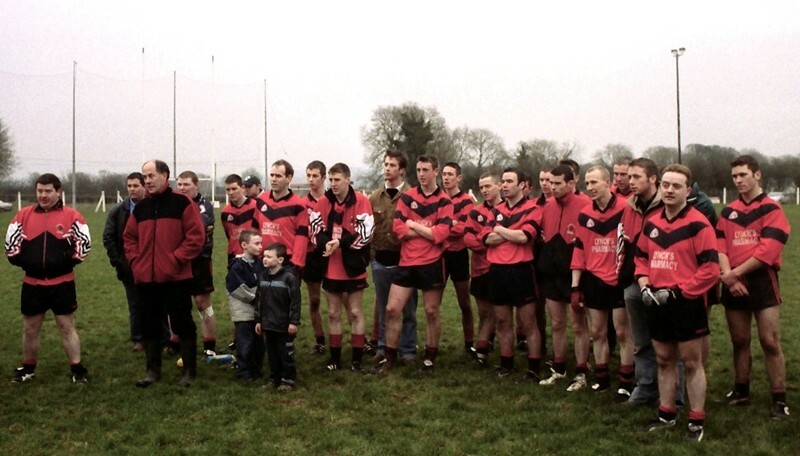 But when the Carlanstown/Kilbeg team managed only draws in their opening two matches there were those who questioned whether they would, after all, manage to make the impact their undoubted talent suggested they would. Bective held them to a draw (0-10 each) in the opening round back in April and when another share of the spoils followed against Ballinabrackey (St. Michael’s 0-11, Ballinabrackey 1-8) they had dropped two championship points which might well have impacted on their qualification prospects later in the summer. Their first win came in the third round against St. Vincent’s (1-15 to 0-7) and, in the absence of ace attacker Daithi Regan, who had sustained a serious back injury while playing for Meath in the Leinster Championship defeat to Dublin, they scored a runaway 22-point (4-14 to 0-4) win over Dunshaughlin. The scores flowed again next time out when they beat Dunderry by 1-17 to 1-6 and that success left them unbeaten and on eight points from five outings as they awaited a crunch assignment against a St. Ultan’s side which was the fancy of many to achieve outright success. 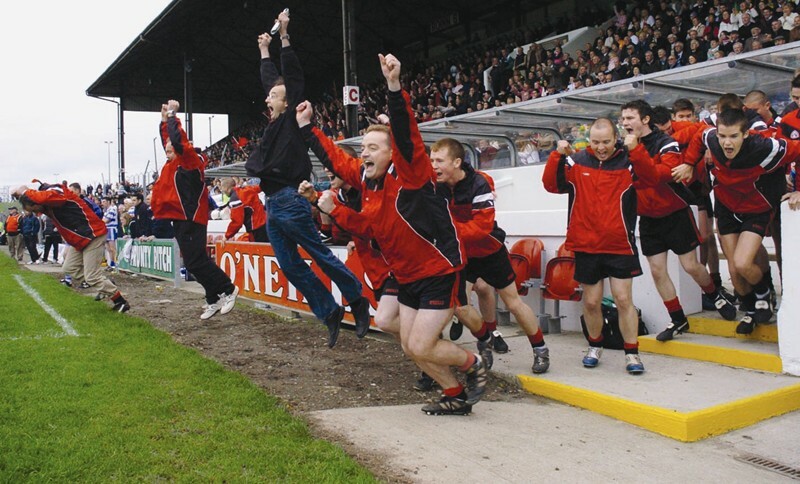 A 2-7 to 0-7 victory really made people sit up and appreciate that St. Michael’s were capable of going all the way and they completed their group campaign with a 0-15 to 0-13 win over a Drumbaragh team that was later to exit the title race in a quarter-final against Kilmainham. 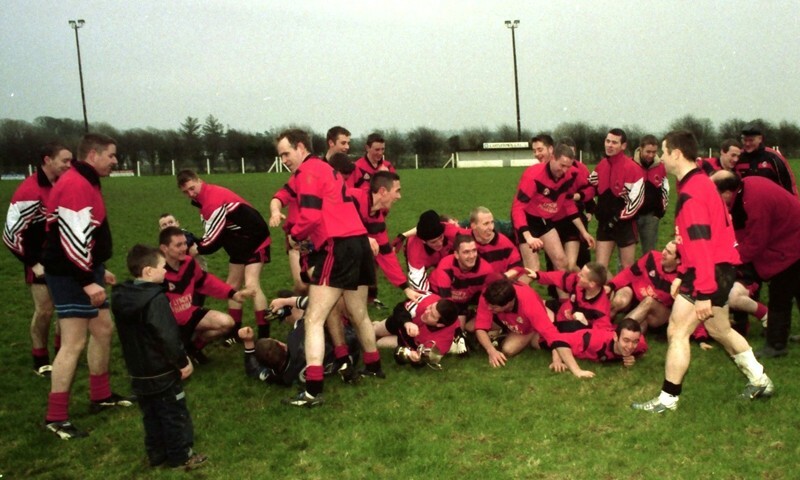 St. Michael’s had achieved their first big goal and reached the quarter-finals where they came face to face with Dunsany, the beaten finalists in both 2002 and 2004, and another of the more fancied teams for the junior title. 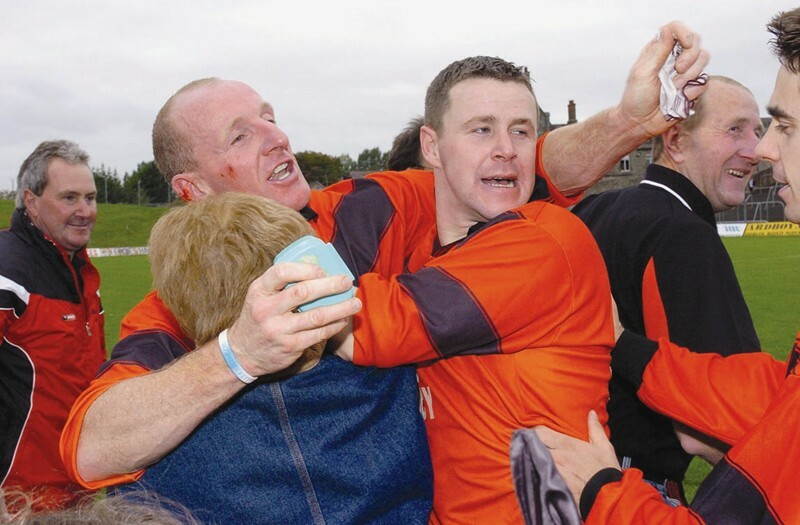 Regan had worked hard to get himself back into action, covering many miles on his bicycle, and how glad his team-mates were to see him return for that meeting with Dunsany as he converted a difficult 40-metres free to earn them a draw at Walterstown. Michaels led by 0-8 to 1-3 at the interval, but Dunsany rocked them with two further goals after the change of ends to push seven points clear by the three-quarter stage. However, a John Farrell goal gave Michaels a significant boost, as did the brilliance of young midfielder John Barry O’Reilly who set up attack after attack. They were still two points behind with five minutes remaining, but Derek Flood slotted over a 45 and Regan had the last say with the equaliser. It finished St. Michael s 1-15, Dunsany 3-9 and the Carlanstown/Kilbeg combination were relieved to get a second chance. They made the most of it, winning the replay by 0-15 to 0-12 at the same venue. O’Reilly was again magnificent as they built up a slender 0-6 to 0-5 interval advantage and, while Dunsany managed to stay in touch, Michaels finished with a flourish to book their semi-final ticket. Kilmainham had done well to reach the last four, but they were rocked by three St. Michaels goals in the first 11 minutes at Kells – from Regan and Johnny Reilly (two) – which effectively ended the game as a contest. The lead stood at 3-2 to 1-0 at the break and there was no way back for Kilmainham who went under by 1-6 to 3-7. Unfortunately for the experienced Tom Halpin he was to miss the final after being sent off in the first half. A superb first half display against the wind made all the difference for Michael’s in a highly entertaining final against O’Mahonys. John Barry O’Reilly and John Farrell went through plenty of impressive work at midfield, Regan was highly influential and the ageless O’Connell was a huge help to the cause, especially when the going got tough in the second half. Regan and Farrell got the Michaels goals as they opened up a 2-8 to 1-5 interval advantage and the lead stretched to 2-10 to 1-5 within eight minutes of the restart after Ciaran Lynch and Regan had pointed. Michaels looked home and hosed, but they endured a 13-minute spell without a score as O’Mahonys, to their credit, battled away and gradually began to erode the eight-point deficit, bringing it back to three. But Regan got a crucial point which effectively secured the title and O’Mahonys were unable to get the goal they so badly needed. Michael’s were three points (2-11 to 1-11) to the good at the end. 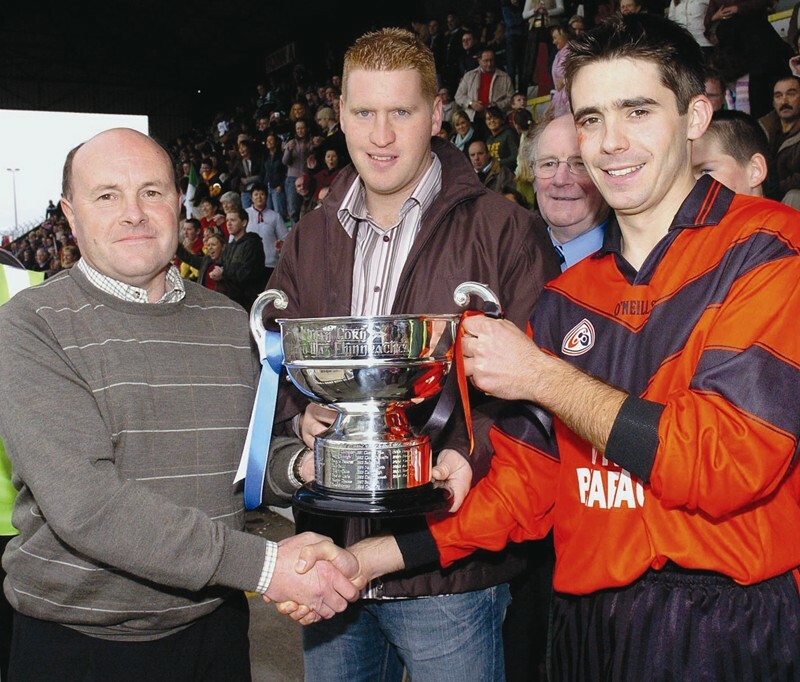 It was a proud moment for St. Michaels captain Sean Gaffney when he received the Matthew Ginnity Cup and the big aim for the team now will be to bring senior football back to the club. And how are St. Michaels looking forward to their first year back in the Intermediate Championship? 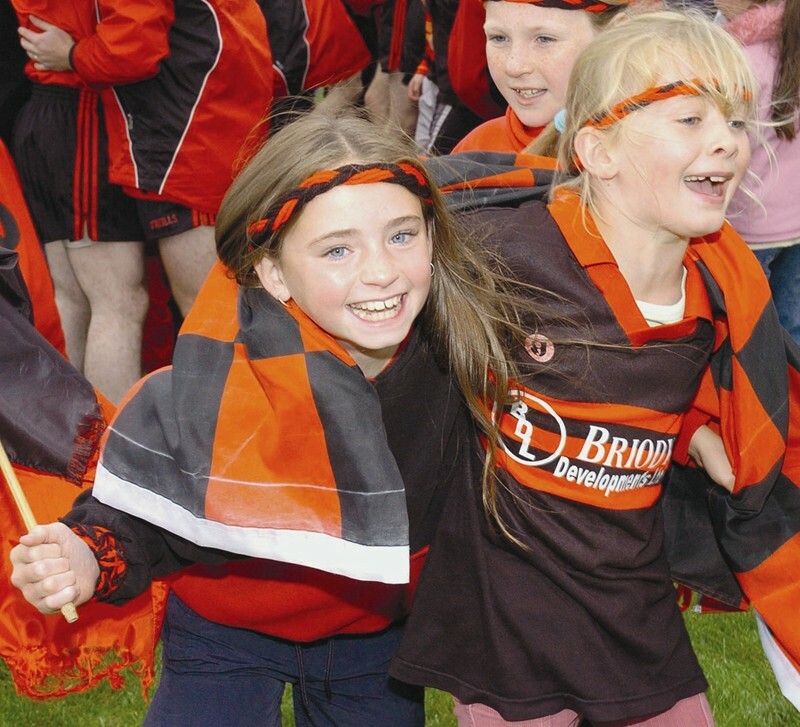 “There will be 10 or 11 teams from north Meath in it,” Dudley Farrell added. “It will be very competitive. You would hope they wouldn’t be inclined to settle for winning the JFC. We have a lot of young lads. Seven of them are on the under-21 team. Graham Owens, Michael Rogers, James Farrell, Dáithí O’Reilly, Sean Gaffney, Derek Flood, Peter Clinton, J.B. O’Reilly (0-1), John Farrell (1-0), Johnny Reilly, Martin O’Connell, Felim O’Reilly (0-1), Ben Farrell (0-1), Dáithí Regan (1-5), Ciaran Lynch (0-2). Subs: Brendan Ryan for Johnny Reilly, Nick O’Kane for Felim O’Reilly, Bernard O’Brien for Gaffney.